Audi is one of the most successful car manufacturers in the luxury vehicle segment. Their philosophy of “Vorsprung durch Technik,” a German phrase that is usually translated into English as “advancement through technology,” has inspired the innovation and integration of advanced technologies that elevate customer experience in both Audi’s vehicles and retail networks worldwide. ZeroLight, an AWS Partner Network (APN) Advanced Technology Partner with the AWS Industrial Software Competency, is an automotive real-time 3D visualization specialist, creating interactive digital retail and online experiences for car brands worldwide. Incorporating the latest technologies into one central marketing and sales platform, ZeroLight empowers Original Equipment Managers (OEMs) to sell smarter and engage customers across every touchpoint. Audi is focused on delivering the best customer experience at every touch point. With the influence of the internet on the automotive purchase journey, Audi worked with strategic partner ZeroLight to revolutionize their online proposition, translating their highly successful digital dealership experience to the web. To do so, ZeroLight needed to find a way to render and deliver real-time 3D visualization software in a way that is accessible across multiple networks and devices while also being commercially viable. Utilizing Amazon Web Services (AWS), ZeroLight created a secure virtual infrastructure that harnesses Amazon Elastic Compute Cloud (Amazon EC2) G2 instances, providing the graphical processing capabilities needed to render their software in the cloud. When customers access the 3D configurator online via Audi’s website, they receive a live 3D representation of their chosen Audi model that is fully configurable. The stream is accessed within five seconds and replicates the visual quality a customer would see in any Audi store. An initial pilot of the real-time 3D configurator on Audi.de saw user engagement increase by 66 percent when compared to the traditional 2D solution, along with increased satisfaction ratings across a range of qualitative KPIs. The pilot also led to an average 9 percent increase in additional feature selection per vehicle, driving a significant uplift in the average online basket value. The same results were achieved when the pilot was further expanded to a new market in the Netherlands, while also including a wider range of car models. Audi’s solution is now on worldwide rollout, with all car models available in 25 markets before the end of 2018. “The results reflect the fact that the real-time 3D user experience is a drastic improvement over typical 2D experiences. Quality has always been the biggest challenge when looking to implement 3D solutions in the past. 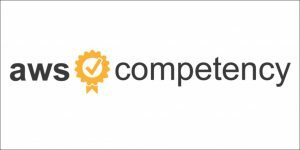 ZeroLight is an AWS Competency Partner. Their customer-centric and scalable real-time 3D retail experiences drive higher specification sales. Car brands worldwide trust ZeroLight to deliver highly-engaging digital experiences to their customers in-store and online.